In what might be the most anticipated Super Bowl rematch in its history the Patriots and the Giants will square off in a rematch of their Super Bowl battle 4 years ago in which the Giants defeated the Patriots for their first and only loss of the season. The Patriots will no doubt have revenge on their minds but like 4 year ago the Giants match up extremely well with the Patriots. Like the Championship games I expect this one to be close and maybe another game that comes down to the last possession. Eli Manning had a pretty good game 4 years ago but this time around both he and his supporting cast are improved. The Patriots have struggled in one-one-one match-ups on the edges all year. They’ve done a decent enough job getting to the quarterback but the loss of defensive end Andre Carter was a big blow to the Pats’ defensive line. Outside linebacker Rob Ninkovich has stepped up for the Patriots towards the end of the season and in the playoffs and he’ll need to have a big game if they want to harass Eli Manning. If they don’t put pressure on Manning it could make for a long afternoon for the Pats’ defense. Cornerback Devin McCourty has struggled in one-on-one match-ups all season long and could have a long night if he’s put on an island with Cruz or Nicks. Another match-up that may be problematic would be a potential match-up between cornerback/receiver Julian Edelman and one of the Giants receivers. They all have a pretty good height advantage on Edelman and Edelman has been dealing with the likes of Lee Evans and Matthew Willis in the first two weeks of the playoffs. The Giants are 3 deep at receiver and are likely to present a match-up problem in the slot that the previous two playoff opponents were not able to exploit. One game plan that the Patriots could revisit is the one Bill Belichick used in 1990 with Bills’ receiver Andre Reed. He could line up a linebacker opposite Cruz when he’s in the slot and chip him on every passing route. Reed caught 8 balls for 62 yards in that Super Bowl but he said that was the hardest that he had ever been hit in a game. I’m not sure that the Patriots have the personnel to do that, particularly if they are playing with 4 down linemen and only 3 linebackers. I think Eli Manning has a big game. The Patriots don’t have the personnel to slow down this offense enough. The biggest weapon in Brady’s arsenal is Rob Gronkowski and he is hobbled. I think he may be slowed a bit in this game but that just means he won’t have as many yards after the catch. I am guessing that between Bill O’Brien and Josh McDaniels they can come up with something to offset that. The Giants weakness is at the back of their defense. On paper they should have a pretty good secondary but cornerbacks Corey Webster and Aaron Ross have struggled at times this year. The Giants also have a weak spot at middle linebacker. Starter Chase Blackburn was picked up off of the street halfway through the year after rookie Mark Herzlich went down. Herzlich was replacing veterans Clint Sintim and Jonathan Goff, both of whom landed on IR. Herzlich might be back for the game but he is coming off of a broken ankle and did not have much experience to begin with. The key guys for the Giants defense will be safeties Kenny Phillips and Antrel Rolle and how they match up with Gronkowski and fellow tight end Aaron Hernandez. Rolle and Phillips have also struggled at times this year. Look for Hernandez and Gronkowski to possibly switch roles and Hernandez will be the one to stretch the field and Gronkowski will be used more underneath. The Giants, like all other teams will try to keep Wes Welker in front of them. I like the guy so I hate to say this, but don’t expect Chad Ochocinco to be a factor. He’s just not that guy anymore. The big elephant in the room here is the Giants pass rush. Obviously it’s one of the best in the league. The way I see it Bill Belichick had one major priority above all others in the past two weeks – slow down the Giants pass rush and keep Tom Brady upright. Bill Belichick is one of the best game planners in league history and I’m guessing that he’ll have something in mind to protect Brady on Sunday night. The Giants will get sacks but I don’t see them repeating their performance from 2007. The Giants have the same two running backs that they had in 2007, Brandon Jacobs and Ahmad Bradshaw. Both of these guys are sometimes underachievers and Bradshaw comes into this game hobbled. I expect that the rushing game won’t be a focal point of the Giants offense but Jacobs and Bradshaw can get the job done when they need to. 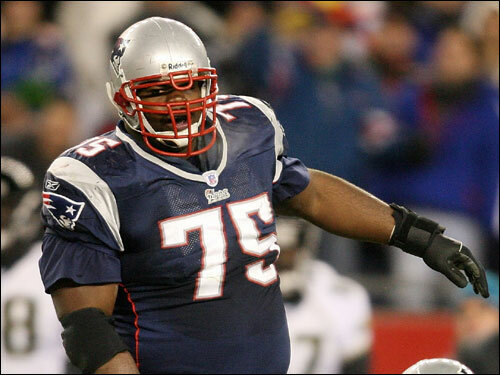 The wild card in this match-up is Vince Wilfork who was a monster in the AFC Championship game against the Ravens. Wilfork wants that second ring and looked extremely motivated two weeks ago. Worse for the Giants is that center David Baas was banged up in the NFC Championship and has been limited in the practices leading up the the Super Bowl. That sets up a very favorable match-up for Wilfork and the Pats D-Line. If the Giants needs to use one of their guards to help Baas expect things to open up for the rest of the Pats front 7. They’ll need Brandon Spikes and guys like Kyle Love and Brandon Deaderick to come up big if the Giants try to take Wilfork out of the game. 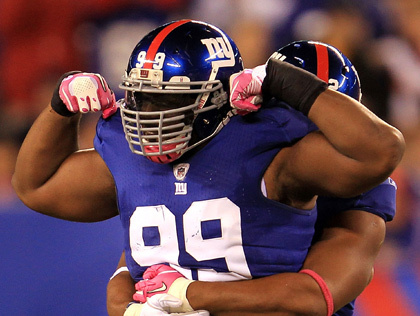 Still with Baas and Bradshaw banged up I think Wilfork and co. will be too much for the Giants offensive front. The Giants will find a little success in spurts but I don’t see a ground game getting established over the course of the whole game. I don’t think the Giants running game finds a rhythm. The Patriots will start BenJarvus Green-Ellis at running back. He is a similar running back to Laurence Maroney who started the game in 2007 for the Pats. Danny Woodhead will get plenty of time but he has not been as effective recently. 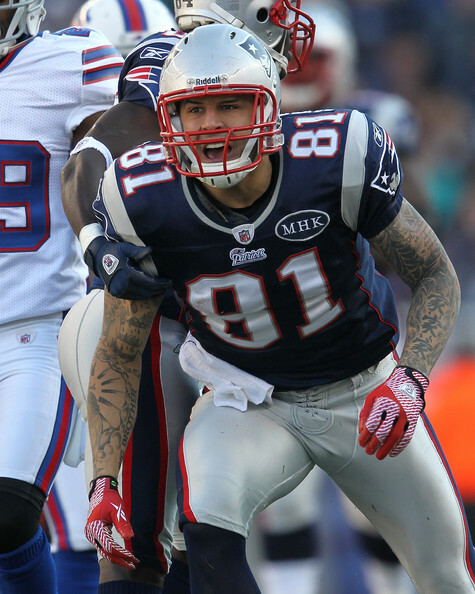 I’m not sure how much you’ll see of the formation with Aaron Hernandez in the back field since Gronkowski is hobbled. The secret about the Giants’ pass rushers is that they are pretty good against the run too. Linebacker Mathais Kiwanuka has proven to be very versatile, which is why the Giants moved him from end to linebacker. Justin Tuck and Jason Pierre-Paul are pretty good at stopping the run as well and Chris Canty is an addition to the middle of the Giants defense that wasn’t there in 2007. Defensive lineman Dave Tollefson is another underrated, versatile player on the Giants front defensive line. Again I see the Patriots failing to get in a rhythm with the ground game because their assets on offense are in the pass game and they will go back to their crutch if they feel that they are not being successful against the run. The Giants have really stepped up their run defense in the end of the season and the playoffs so I don’t expect the Patriots to run much on the Giants. This one will be won by air. So there you have it, as far as match-ups go the tally is New England Patriots 2 and New York Giants 2. We could bring Special Teams into the conversation but both teams have good kickers, punters, and coverage units. Like the game in 1990 between the Giants and Bills, this one is very evenly matched. The game will be won in the air and the quarterbacks will be key in the game. Both are former Super Bowl MVPs and both enjoyed one of their better seasons to date this year. This is cliche, and obvious, but the game will come down to whoever protects the ball better. If there are no turnovers in the game I give a slight edge to the Giants. However there have only been two Super Bowls in the 45 previous games that have ended with no turnovers by either team. Considering that the Patriots have Brady, who has been intercepted only once in 155 Super Bowl pass attempts, and Green-Ellis, who has never lost a fumble in his life, I think they are the ones who are less likely to turn it over. Still, when Eli Manning is bad he is very bad and when he is good he is very, very good. Right now he is good. Does he turn the ball over? Maybe it comes down to Bradshaw and Jacobs? Either way you slice it this one is a tough game to pick. I almost want to flip a coin on it. I hate to do a gimmick prediction but I’ll do it anyway (Just call me Chris Berman). Like 21 years ago neither team will turn the ball over. There will be a few more points scored in this one than the 1990 game between the Giants and Bills. 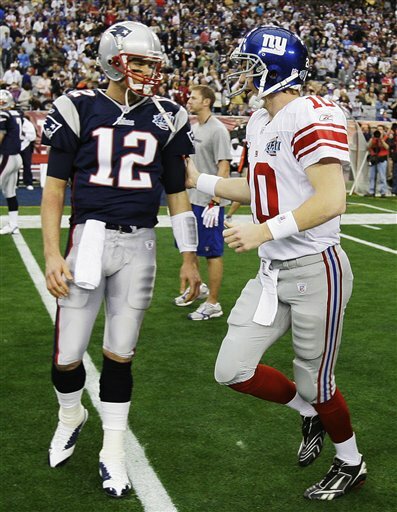 The Patriots will lead 28-27 and Eli will try to rally the Giants down the field and set Lawrence Tynes up for the game winning 47 yard field goal. The kick will sail wide right and the Patriots win by a point. The top two seeds meet in Foxboro on Sunday to determine the AFC representative in the Super Bowl. The Patriots have averaged 40 points in the last 4 games but two of those games were against the same opponent, the Denver Broncos. I am, a bit surprisingly to be honest, in the minority that think that the Patriots have not been tested enough this year. The Baltimore Ravens were the 3rd best defense in both points and yards allowed this season. The only defense the Patriots played all year that had a statistically better defense was the Pittsburgh Steelers, who were 1st in both yards and points per game. The Pats only managed 17 points against them. There’s been a myth perpetuated in the last few weeks that the Broncos had a good defense because they had two guys that racked up a lot of sacks.. They were 20th in yards per game and 24th in points per game. In other words they weren’t very good. The other team they faced in the last 4 games was the Buffalo Bills who were 26th in yards per game and 30th in points per game. Meanwhile the team that they didn’t score 40 points against, the Miami Dolphins, were 15th in total yards and 6th in total points. The point is despite the offensive proficiency throughout the season the Pats’ production seemed to drop off against better defenses. A lot of people are expecting big numbers for the Pats offense this Sunday. I am not. Does that mean that I am picking the Ravens to win? Not necessarily. How for real is the Patriots defense that we saw last week against the Broncos? Let’s go back to the numbers. The Broncos’ offense was 23rd in yards per game and 25th in points per game for the regular season. Contrast that with the Ravens who were 15th in yards per game and 12th in points per game. The Ravens are a far more versatile team on both sides of the ball. Obviously the key for the game is Ravens running back Ray Rice. The Ravens were 10th in rushing yards per game during the regular season. The Patriots were 17th in rushing yards given up per game. It will be a tough match-up and Rice has had success against the Pats in the past. Receiver Anquan Boldin will be a tough match-up for the Pats as he is a superior route runner and the Pats DB’s have struggled in one-on-one match-ups with receivers like Boldinall season. Joe Flacco can’t make mistakes, if he turns the ball over he might lose the game for the Ravens. Obviously the way to neutralize Tom Brady is to put on a pass rush and make him uncomfortable in the pocket. Ravens linebacker Terrell Suggs has had a great deal of success against Brady and the Pats. The Ravens are strong up front so one of the more intersting match-ups will be the middle linebackers and safeties of the Ravens vrs. the tight ends of the Pats. Brady had better watch out if Ed Reed is shadowing Rob Gronkowski all game because, as T.J. Yates found out last week, if you keep throwing it Ed Reed’s way he’ll eventually get his hands on one. Like Flacco Brady will have to play flawless football because a turnover may gave the Ravens offense the extra opportunity that they need to make a play to win the game. 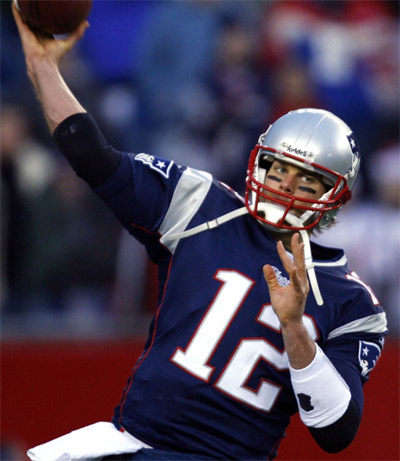 The receivers will be important this game for Brady as they may have to use the outside of the field more. That means they need big games from Deion Branch and Chad Ochocinco. 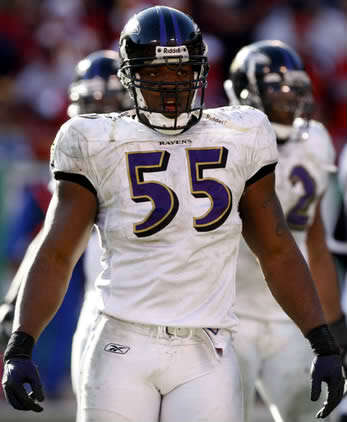 The x-factor for the Ravens defense may be safety Bernard Pollard (yes, that Bernard Pollard). He is the weak link up the middle for the Ravens but he is still pretty good. Ultimately this game will come down to turnovers and pressure on the quarterback. Flacco was harassed all day by the Texans front 7, but they are a much superior to the front 7 than that of the Pats. Brady had all day to throw last week but the Ravens are much more stout than the Broncos on defense. This game is going to be close. I don’t see the Patriots scoring more than 24 points in the game. The question is can the Ravens score 24 points or more in the game? I am going to go very conservative with this pick and say that both teams play a clean game and Brady makes at least one more play than Flacco for a Pats win. I can see it going the other way too though. Maybe whoever has the ball last. Either way I am expecting a good game, not a blowout this Sunday at Gillette. 21 years ago these two teams faced off in a great showdown between Bill Parcells’ Giants and George Seifert’s 49ers. The Giants won that game without even scoring a touchdown on Matt Bahr’s game winning last second field goal. The Giants won that day by a score of 15-13. While I expect a few more points to be scored this weekend look for defense to reign again in San Fransisco. The Niners were consistently good all season on defense. They finished 4th in the NFL in yards given up per game and 2nd in points given up per game. The Giants were a mess on defense most of the year due to injuries and underachievement. They were 27th in yards given up per game and 25th in points per game. The Giants defense has heat up in the last month however. They got one of their injuries linebackers, Michael Boley, back for the playoffs and might get another, Mark Herzlich, back for this game. Jason Pierre-Paul, Justin Tuck, Osi Uymeniora, and Mathias Kiwanuka have all stepped up their games considerably these past few weeks. They always had the talent to do it and now it’s showing. They match up well against the 49ers. The Niners receivers are nothing special, there are no Jerry Rice’s on this team. That’s good for the Giants because their weakness on defense is on the edges. Frank Gore is key for the Niners, much like Ray Rice is for the Ravens. If Gore gets going that will open up play action and Alex Smith will be able to use the middle of the field with Vernon Davis. The Giants need to get pressure on Smith and force a mistake. Smith is a game manager, much like Joe Flacco, and if he turns the ball over then he is not doing his job. Look for the Giants to bring heavy pressure early. On the other side of the field it is all about Eli Manning. Much like his brother and Tom Brady he will pick you apart if you don’t get pressure on him. 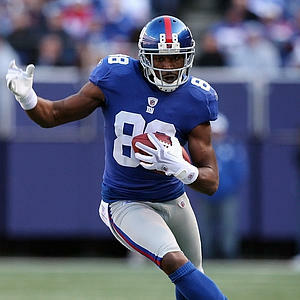 Manning has three dependable targets in Victor Cruz, Mario Manningham, and Hakeem Nicks. He likes to use Bear Pascoe and Jake Ballard in the middle of the field. The Niners have to get the Smith brothers from another mother going quickly. Justin Smith can get pressure from any spot on the line and Aldon Smith is one of the best hybrid end/linebackers to come into the league in the last few years. The 49ers secondary is pretty good but you can beat Donte Whitner with your tight ends and their top cornerback Carlos Rogers is a gambler. If a Nicks or a Cruz can get behind him then it’s off to the races. 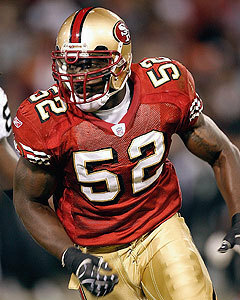 The 49ers will key in on stopping running backs Brandon Jacobs and Ahmad Bradshaw. They will try to make Eli Manning beat them on his own. Not that he can’t do it, but it will make it easier for the Niners to game plan for just Eli and not Eli and the running game. Patrick Willis and Navarro Bowman were key in stopping the run and keeping everything in front of them last week against the Saints. They will need to do the same thing this week against the Giants offense. Still, this Giants run looks eerily similar to the one of 2007. If you don’t remember they beat Green Bay in Green Bay in the NFC Championship Game and went on to beat the Patriots in the Super Bowl. But this is a new year and the Niners are a different opponent. I need to apologize to Alex Smith for expressing doubt in his ability to lead the Niners deep into the playoffs. He played a hell of a game last weekend against the Saints, particularly in the 4th quarter, but I have to admit that he has not totally swayed me. The Giants represent a different kind of challenge than the Saints. They will bring more pressure. Last week Gregg Williams had to dial up blitz after blitz to generate pressure on Smith which led to more favorable one-on-one match-ups down the field for the 49ers. The Giants will put pressure on you with a 4 man front which means they can double team and put a shadow on tight end Vernon Davis. Eli Manning will face a far tougher test this week when he faces the 49ers but Eli has proven himself to be a big game quarterback. I know people in New England are dying for a 2007 re-match and I hate to appease the masses but I think that Eli and the Giants will be too much for the Niners who will turn the ball over at least twice. Like I said earlier, I can see the Ravens winning and likewise I can see the 49ers winning this one, especially in their home stadium but I have to go with the Giants on this one with a gun to my head. The Lions have not been to the playoffs since 1999. They face a tall task in their first appearance back as they must go up against the team with the best record playing in the round, the New Orleans Saints. The Lions had a chance to play out of this game if they had beaten the Packers and their back-up quarterback Matt Flynn last weekend. Instead they lost by a score of 45-41 and Flynn threw for 480 yards and 6 TDs. Imagine what an offense led by Drew Brees can do to their pass defense? The Saints offense obviously matches up well with the Lions defense. They have so many weapons to account for – Marques Colston, Jimmy Graham, Devery Henderson, Robert Meachem, Lance Moore, Darren Sproles – how can Detroit possibly account for all of them. On defense the Lions rely on their front 7 led by star defensive tackle Ndamukong Suh. Middle linebacker Stephen Tulloch is very active in the middle. Their secondary is the weak spot of their defense and that obviously does not bode well for the Lions in their match-up against the Saints offense. Offensively the Lions are explosive themselves with quarterback Matthew Stafford and all-world receiver Calvin Johnson. Nate Burleson, Brandon Pettigrew, and Tony Scheffler add some horizontal threats to Johnson’s vertical threat. The Saints are not much better than the Lions against the pass. They are better in the front 7 with Jonathan Vilma and Sedrick Ellis manning the middle of the field. Jabrari Greer and Tracy Porter are opportunistic corners and will take advantage of mistakes if Stafford makes them. These two teams are both tougher against the run but obviously the others offense doesn’t rely on the running game as much as the pass. The question will be can the Lions offense keep up with the Saints? When it’s all said and done I think the Saints will pull away from the Lions but not before the Lions light up the scoreboard a little bit themselves. 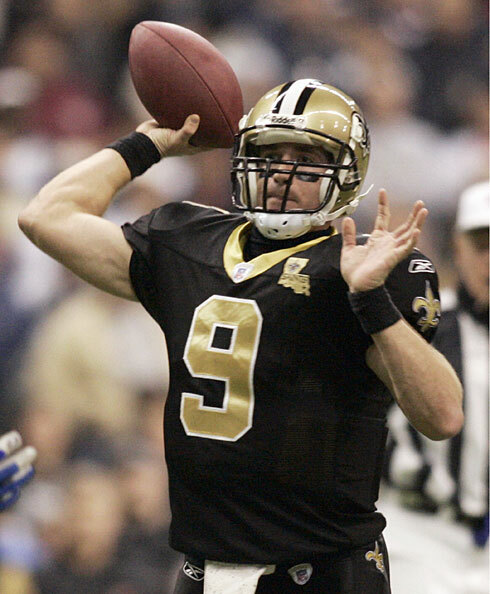 The Saints will use the home field advantage to create some turnovers that will be the difference in a Saints win. This might be the best game of the week and it might end up the closest. The Giants could be one of the better teams in the league when they put their minds to it. The Falcons will be desperate for a win. 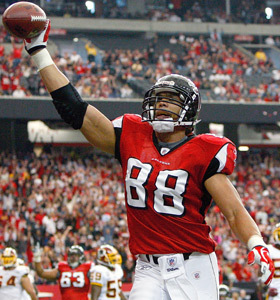 Matt Ryan would love to shake the stigma that he is not a postseason quarterback and Tony Gonzalez would love to win at least one playoff game in his Hall of Fame career. Eli Manning has done it before and he leads an offense that is explosive when healthy. 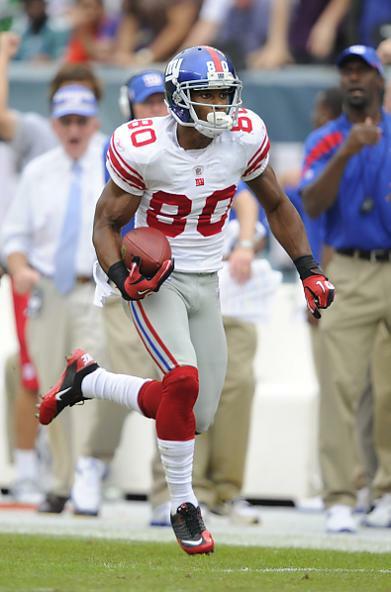 UMass product Victor Cruz has been a revelation for the Giants offense and Hakeem Nicks and Mario Manningham make great compliments when healthy. The running game is key for the Giants as they need to get the trio of Brandon Jacobs, Ahmad Bradshaw, and Derrick Ward off and running. Atlanta is another defensive disappointment. Defensive end John Abraham can still get to the quarterback. Cornerback Dunta Robinson is a punishing and sometimes dirty hitter. If they let Manning sit back in the pocket it could make for a long day for the Falcons defense. On offense Matty Ice and Gonzalez will look to win their first playoff game. Their best player on offense is Michael Turner who may be the most underrated running back in the league. Roddy White and Julio Jones can both stretch the field but both are prone to drops. Defensively the Giants are all about the pass rush. They are weak at LB and incredibly weak at cornerback. It’s up to the guys up front, Osi Umenyiora, Justin Tuck, and Jason Pierre-Paul. That trio can give opposing quarterbacks nightmares. Their linebackers have suffered injuries but they get outside linebacker Michael Boley back for this game. Him and Mathias Kiwanuka give them a good duo of outside linebackers. Cornerbacks Aaron Ross and Corey Webster are underachievers but they will get plenty of help over the top from safeties Kenny Phillips and Antrel Rolle. The key though will be stopping Turner. If he has a big day that will open things up for Ryan and the Falcons’ passing game. I don’t think this will be much of a defensive game so again turnovers and quarterback pressure will be key. I like the Giants pass rush more and they’ll have the hometown crowd behind them in the first playoff game at the new stadium. I say the Giants take this one by a touchdown.